After phones and laptops a tech device that has changed my life is Amazon Fire TV Stick! Sometimes things are just God sent. As an influencer I receive lot of things as gifts! Some you like, some you use and some you just giveaway. So few weeks ago Amazon too had sent me this small orange box as a gift. But little did I know back then that this small box has the mighty power to change my TV viewing experience. So first things first, what is this Amazon Fire TV Stick? Like the name suggest this pocket size device has the ability to fire up your old, normal TV into a smart TV! Yes! Now you don’t need to spend major thousands to purchase a smart, new TV to replace your still decent existing TV. In just Rs. 3999 Amazon Fire TV Stick will do exactly that for you. All you need to do is plug in your Fire TV Stick into your TV’s HDMI & USB port and its done! No cumbersome installations required. One fix and now you can watch anything and everything available in this stream-0-sphere! I am giving you quick 7 real reasons why you need to get this wonder stick. Unlimited Content With New Releases Everyday. 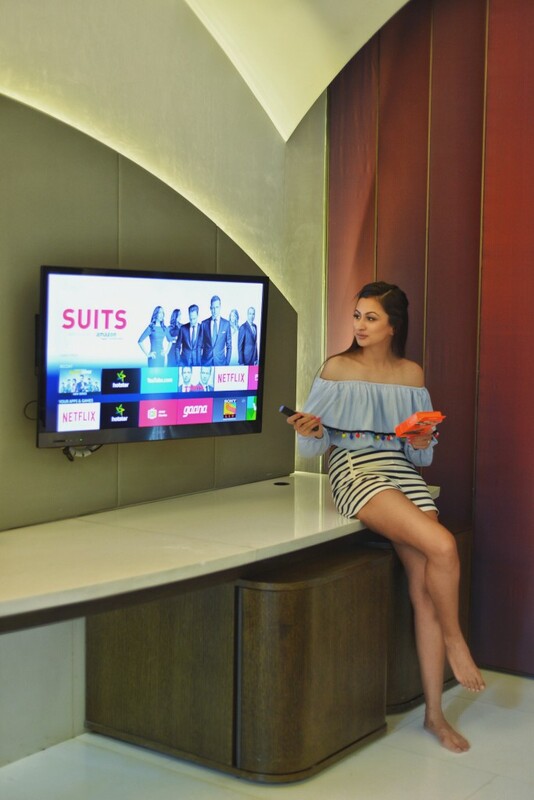 Fire TV Stick is great for viewers who love to browse through and explore what they would like to watch. With thousands of hour of unedited movies & serials to watch on Amazon Prime. 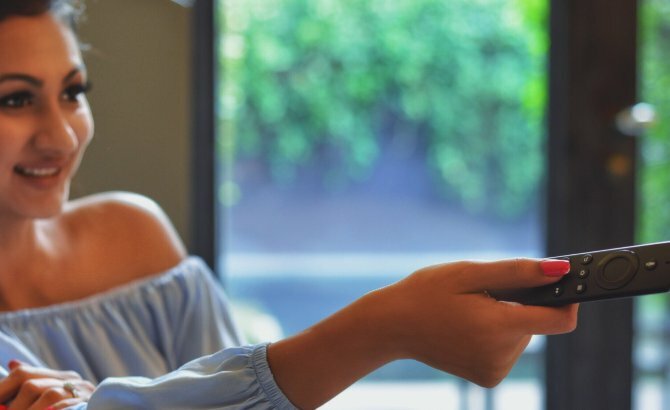 Fire TV Stick helps you find your taste with easy interface and five main tabs across the top – Home, Movies, TV Shows, Apps, and Settings –that sums up the whole viewing experience pretty easily. All this and you can install and watch unedited content on Netflix, Hotstar, Youtube, Eros Now, Airtel movies and many more apps available along side Amazon prime. Big Relief For Your Eyes. While most people will say they can still watch all this over their phones and laptops. I would say the experience of watching on a bigger screen with all the content synced in one place is a big up. Not only your eyes will thank you. You can say a lot of time browsing and looking through different apps available. The streaming on Fire Stick TV is smoother than the butter on your stick! You don’t even realise that you are watching something online as its flawless and totally uninterrupted. If over consuming you WIFI data is always an issue then Fire TV Stick helps you put a cap on your data consumption and sends you an alert every time you might cross your set limit. Wondering if ‘Ae Dil hai Mukshil’ will be understood as ‘I Don’t Understand’ then you will be delighted to find out how accurate the voice commands can be. It easily picks up Indian names. You can search by name of the artist or director and within app as well. Not only does Fire TV Stick helps you watch your favourite movie on your own TV screen its also a big no to piracy because all the content is available to you which you don’t need to share on a pen drive as pirated content with friends. 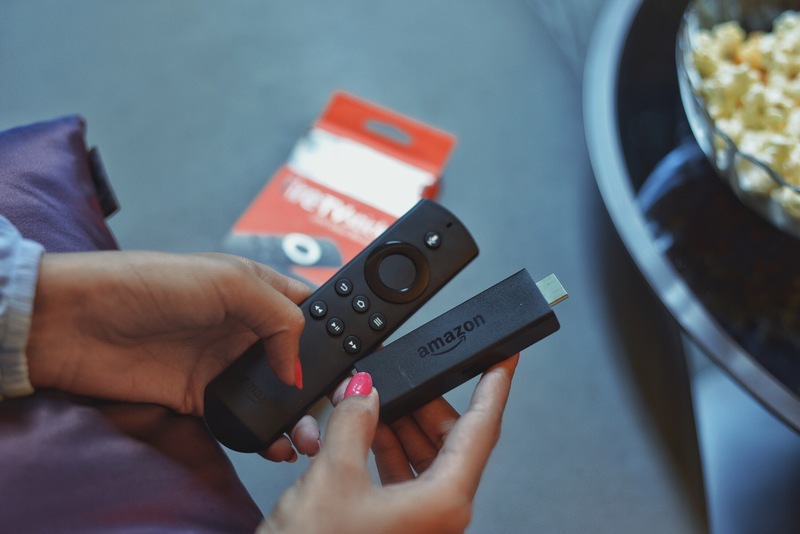 Fire TV Stick is now that pen drive that has unlimited, HD, uncensored content. From season1 episode 1 to probably season 10 episode 24, every episode is organised for you before hand. Without wasting time to find a HD torrent and then waiting for it to finish downloading before you can actually watch it. Family that watches together bonds together. Isn’t it!? 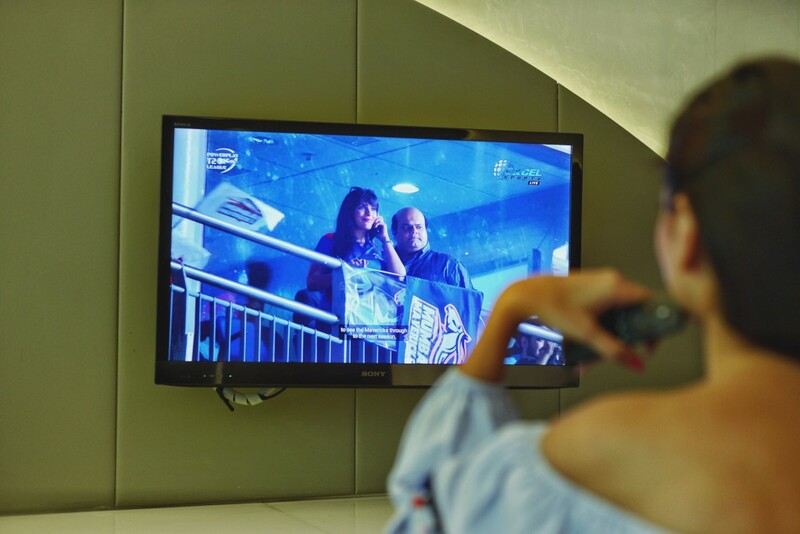 Instead of watching alone over a phone or laptop with ear plugs on, because its on your TV screen now, more people can watch it with you and send time together. After using my Fire TV Stick for almost a month this is something you would also realise eventually. Movies that you wanted to watch in the theatre with your family but missed. With so much to watch through this small device I think I have watched some amazing content together with folks and friends which we talk about or just can’t wait to get together again and catch the next episode. Games, kids cartoons, old movies etc there is certainly something for everyone. Man! Inside Edge is the calling for Indian producers to produce content driven by story line, acting and crisp cinematography, something we find in international serials and not in Indian soap sagas. I personally loved Inside edge, it was probably the first things I watched when I first got my Fire TV Stick. Great story, amazing acting by everyone I particularly liked Vivek Oberoi in such a style of role. Must watch! To be honest I wasn’t not much of a TV watcher because I hardly found anything on my satellite TV that I felt was worth spending time on. And even if there was something, it was all either censored with major cuts or was available from middle of the season, whereas, I would like to watch something from the beginning. So where everybody else in my house loves TV I use to always either be on my laptop or my phone. But not any more and thats how Amazon Fire TV Stick has changed my life. Do leave your question below. Hey great review, have been thinking of investing in amazon fire stick for some time now, will definitely go for it. Great read. This Amazon fire TV stick is really amazing and useful. I want to buy this TV stick right now. Thanks for sharing the detail information.